Governor Rotimi Chibuike Amaechi's tenacious resolve to restore to Port Harcourt its lost glory as the Garden City of Nigeria, took a dramatic turn on 7th August, 2009 when members of the task force on illegal structures of the Rivers State Ministry of Urban Development led by his Commissioner, Barrister Osima Ginah, marked the dreaded red “X” on the walls of the Rivers State Government House and that of the Leader of Rivers State AC Leader, Prince Tonye Princewill. Many within the ranks of the Action Congress (AC) and beyond had hitherto waited with bated breath for this day. When questioned on his decision to mark his party leader's property for demolition, Barr. Ginah retorted, “The Rivers state AC Leader, Prince Tonye Princewill is my brother, leader and close associate. Most importantly, he did not send me to the state cabinet to be biased in my functions. I personally oversee the task force to ensure that the efforts of this administration to restore Port Harcourt to its garden city status are not thwarted in any form by anybody. He was a party to the decision culminating in the on-going efforts of the Amaechi's Administration to restore the beauty and aesthetic value of Port Harcourt city and therefore would not protest the ministry's ultimatum that he reduces his fence or face its demolition”. Barrister Ginah also pointed out that the walls of his official residence had also been earmarked for demolition. This therefore puts to rest speculations that the ongoing demolition may be an exercise of vendetta directed at perceived enemies of the government, but a concerted effort to take the state to the next level. Ginah further reiterated his Ministry's commitment to ensuring the implementation of the urban renewal policy of the administration. He expressed delight at the response by most residents in old GRA and gave commendations to the State Police Commissioner, Mr. Bala Hassan, the National Organizing Secretary of PDP, Prince Uche Secondus, the Chief of Staff to the Governor, Chief Nyesom Wike for the quick compliance in reconstructing their fences. Ginah threw more light on the issue of the demolition and reconstruction of the waterfronts, stating that besides its economic and social benefits, it had become expedient for the purpose of halting militancy and criminal activities in the area. He confirmed State Government's release of N20B as compensation to the property owners at the waterfronts whilst urging the Concerned Landlords and Landladies of Abonnema Wharf Community in PH City LGA to nominate five persons from their Group to join the Evaluation Committee to ensure adequate evaluation and assessment of properties at the waterfronts for proper compensation. When contacted by Chief E. C. Eze, his media aide, over the demolition ultimatum, Prince Tonye Princewill who is currently on a working visit to Europe, issued a directive for the immediate reconstruction of the affected walls. He used the opportunity to reiterate AC's support of due process and also commended Barr. Ginah for refusing to adopt the 'sacred cow' mentality in the course of executing his duties. “We sent him to Amaechi to demonstrate to the people of Rivers State what an AC Government could do when we gets to the Bricks House and should set example in this regard. I must state that Barr Ginah has done us proud in this administration as he has demonstrated that he is a great ambassador of the party and has become a beacon of hope for the future of the party in the State. We are hoping that Amaechi, based on the outputs of Barrister Ginah, will give us more slots in the cabinet to assist in driving his vision for the State. The fact remains that the demolition exercise in the State is hard on the rich and opulent but through it the less privileged and artisans like the carpenters, masons, welders and laborers are empowered as they have been busy for sometime now earning their daily bread through the demolition exercise. Records available to me even suggests that they even wants the exercise to continue infinituim Apart from the fact that the poor are empowered and jobs created, the exercise brings out the beauty of the architectural designs of Port Harcourt and by the next few years, we all shall be happy that we supported this vision of Rt. Hon. Chibuike Amaechi to build a new modern Garden City out of the debris that used to be Port Harcourt. "It will cost us today's happiness but will guarantee us joy tomorrow”. In a related development, the Rivers State AC Women led by its Leader, Dr. Mrs. Edith Wele has paid a solidarity visit to Barrister Osima Ginah over the weekend to congratulate him on his reappointment to the State Cabinet and also commend him for the great work he is doing in the state. “We urge you to maintain the tempo, reminding you that your efforts are making the people of Rivers state to consider Governor Amaechi for another tenure." An elated Ginah in his response expressed his appreciation for the support of the party as he contributes his quota towards rebuilding Rivers state. “Rivers state comes first in all our calculations. 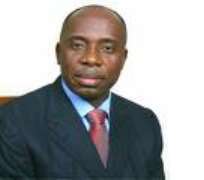 In Amaechi's administration political parties do not exist, what exist are the people of Rivers state”.